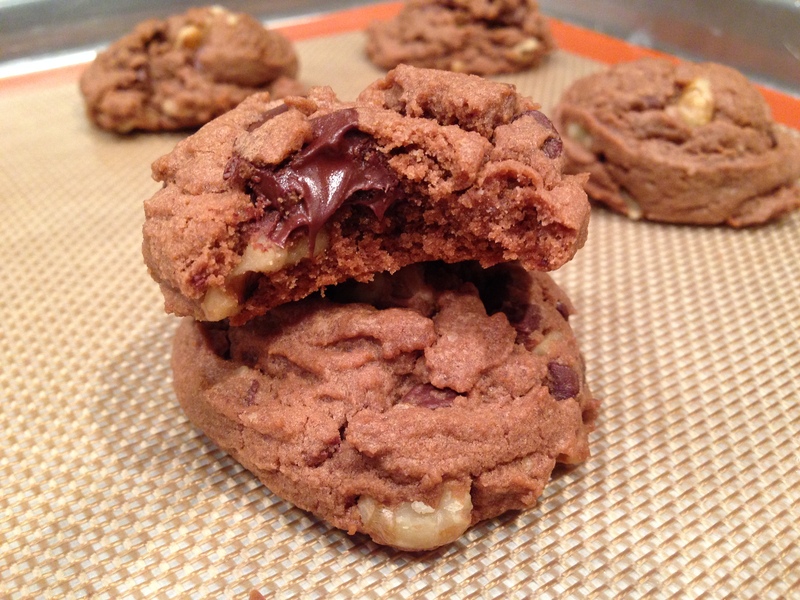 Here is a another “dream” cookie from my favorite cookie cookbook, 400 Sensational Cookies by Linda J. Amendt. 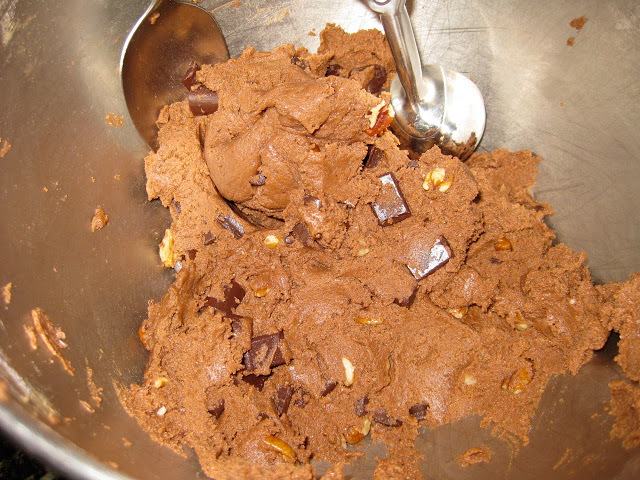 Dream cookies are my absolute favorite because they are moist and chewy from the instant pudding mix added to the batter. The instant pudding mix is what I like to refer to as my “secret ingredient”. My mom made these double chocolate dreams this week and we only have two left….my dad could not keep his hands off them. 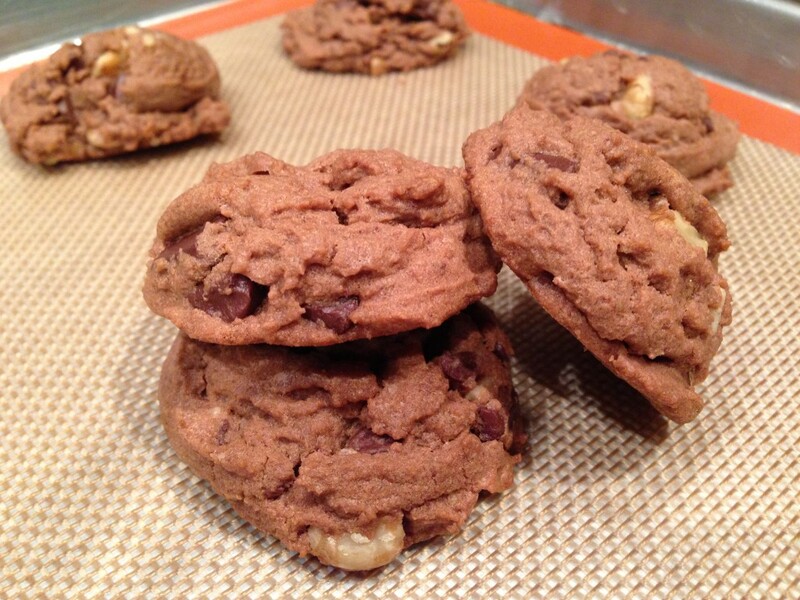 Loaded with brown sugar, chocolate pudding mix, chocolate chunks and nuts, these wonderful dream cookies have a full chocolate flavor you will love. Enjoy! Use a cookie scoop or spoon and drop tablespoonfuls of dough about 2 inches apart on parchment-lined cookie sheets. Bake in a preheated 375 degree oven for 8-10 minutes, or until set around the edges but slightly soft in the center. Slide parchment paper onto a wire rack and cool cookies for 5 minutes, then transfer from parchment paper to cooling rack and cool completely. Enjoy and serve with a glass of cold milk. In a bowl, whisk together flour, pudding mix, baking powder, baking soda, and salt until well combined. Set aside. In a large bowl, using an electric mixer on medium speed, cream butter, shortening, and brown sugar until light and fluffy, about 2 minutes. Add eggs, one at a time, beating well after each addition. Beat in vanilla. Scrape down sides of bowl. On low speed or using a wooden spoon, gradually add flour mixture, beating just until blended. By hand, fold in chocolate and walnuts. 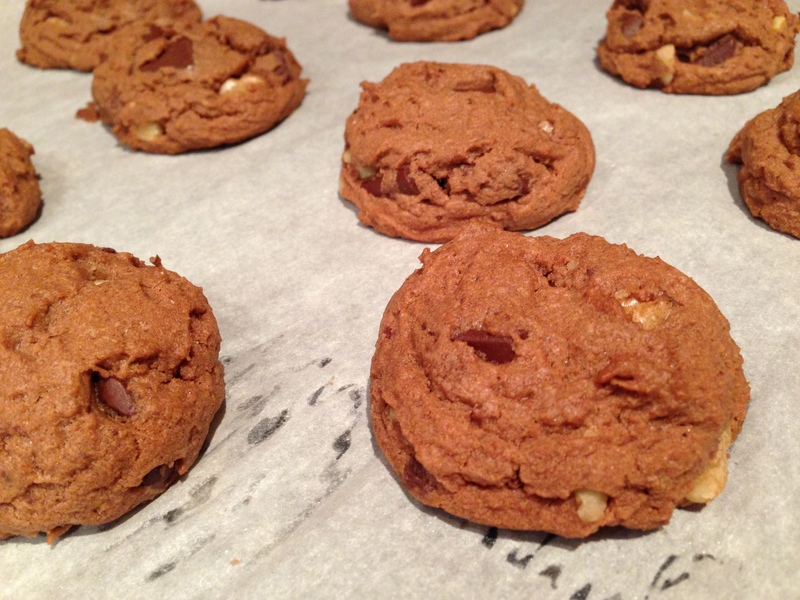 Using a cookie scoop or spoons, drop tablespoonfuls (15 mL) of dough about 2 inches apart on prepared cookie sheets. Bake one sheet at a time in preheated oven for 8-10 minutes or until set around the edges, but slightly soft in the center. One Response to "Double Chocolate Dreams"